Solitaire version of Farkle. An exciting single player dice game. Score the most points in ten rounds to be the star of the High Roller Saloon. A single games is under five minutes, perfect for a quick game break. While playing, try to beat your best score or your friends. Are you ready to risk it all to beat the best? 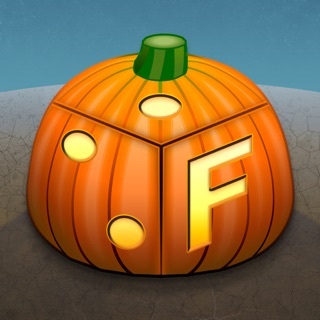 Farkle Solo Solitaire includes beautiful artwork, engaging sound effects, and plenty of fun surprises. 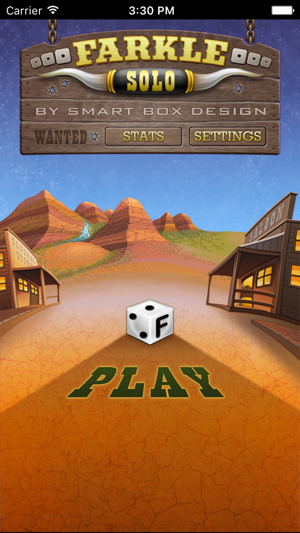 If you like games of chance you will love Farkle Solo Solitaire. Both new and experienced players will love the clarity of the playing board and how quickly you can finish a game while in a meeting (before someone notices). If you do play in a meeting, turn the sound down as the there are lots of sounds effects and music in this game. Then after the meeting, turn the sound way up to fully experience the awards given to you for risking it all and succeeding. 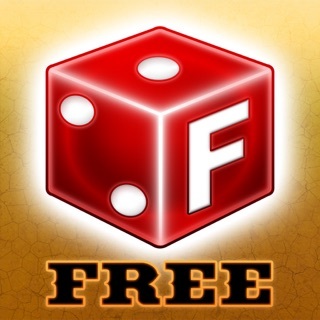 100% dice randomization to prevent cheating. 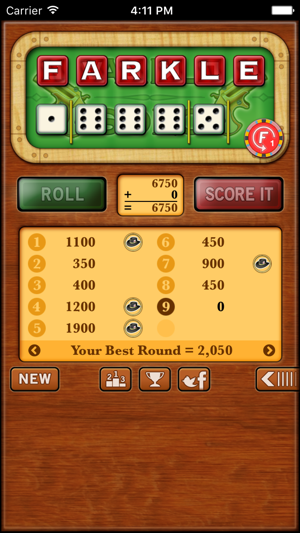 Each roll uses a robust randomization algorithm implemented by our lead engineer. Sometimes, you have to take that extra risk and roll again! Q. How do you play Farkle Solo Solitaire? A. The rules can be found by tapping Settings then "How to Play". Q. When does the "Score It" button become active? A. You need to select at least one scoring dice. Q. Which dice can be scored? A. The dice with the arrows above them can be used for scoring (you can turn the arrows off in Settings). Q. How do you beat other players on the LeaderBoard? A. You need to gamble it all and roll the dice beyond your comfort level. High scores come from high risk! Q. Where do I find the scores to beat? A. They are shown near the bottom. Tap the arrows to see more scores. Q. What are UnFarkle chips? 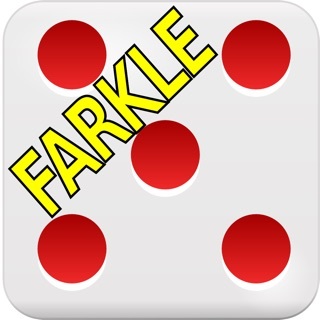 A. UnFarkle chips can be used to re-roll after a Farkle. 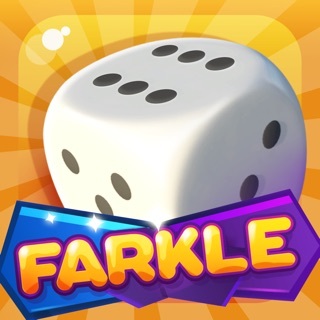 If you roll a Farkle, use the chip to undo and roll again. Q. 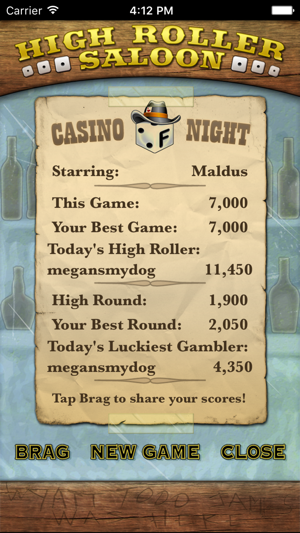 Is there a real High Roller Saloon? 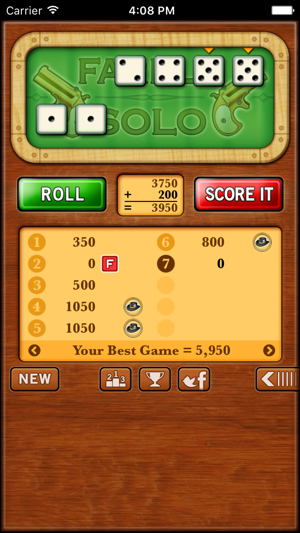 We hope you have as much fun playing Farkle Solo Solitaire as we did creating it. A whole new way to play! We now display your best scores and today's best scores on the game board. 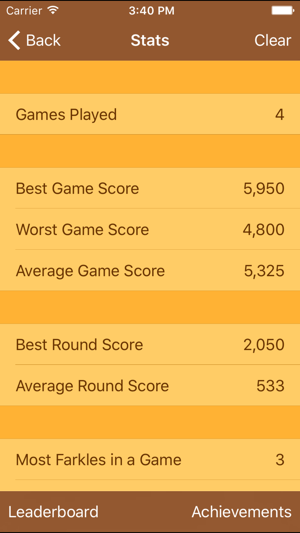 When you are rolling you can now compare your score against the bests scores and decide if you want to take that extra risk and be today's best player. We are committed to bringing you the best games of the highest quality. This version has been thoroughly tested and updated for iOS 10. This includes smoother game play, updates to network play, and stability tweaks. We also made sure it is working great on iOS 9 devices too. Download today and enjoy. 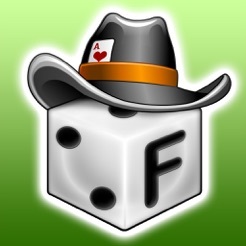 Reminder: When you purchase Farkle Dice you also get a free copy of Farkle Dice for Apple TV. I have had this game for several years and could deal with the ads between games. No problem at all with that. I would expect that from a free game. But when ads recently started playing mid-roll, that is where I draw the line. A video ad would pop up just as I went to hit the Roll button and I ended up clicking on the ad instead. That’s how fast it happens. I just finished a single game where this happened 4 times during the game. Sorry, but I am deleting the app. That is beyond annoying. 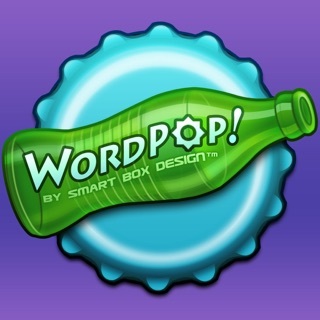 The game rolling is still rigged and yet MORE ads than last time I wrote a review. Feh. Deleted again after little play. 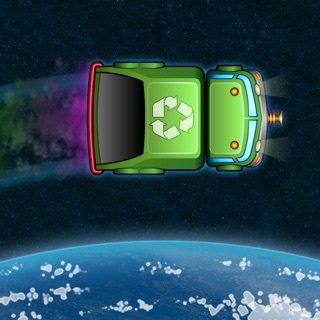 This is a very fun and addictive game!!!! 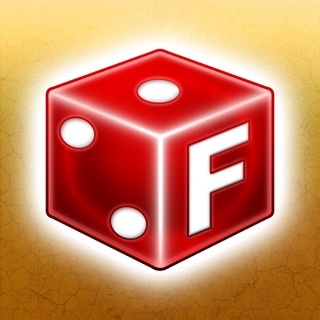 I love Farkle, and with this new Farkle Solo, it's great to be able to just roll the dice and see how well you can do. The graphics are really great too!! And I love the sound effects! Everything moves fast so you can roll and then roll again quickly. It's fun to challenge myself and take chances! Yes, there are ads at the bottom, but I don't find them intrusive at all as the game covers most of my iPad's screen. I can't believe I'm saying this, but I actually kind of enjoy watching the ads that show up. They are pleasant and attractive. And anyway, the game is Free! !